Things you Can’t miss in The Catlins! The Catlins Coast, the South Island coast that straddles between Otago and Southland, is one of the most underrated spots in New Zealand. Yet, the Catlins has a huge concentration of things to do that are not only easily accessible, they’re free! The wild coast of the Catlins is full of epic natural attractions from sea caves to waterfalls, lakes to rare wildlife. But if you’re only visiting this remarkable corner of New Zealand, what are the must-dos in the Catlins? Reducing such an activity-filled part of New Zealand to just 10 must-dos is a tough one but these are the things we think you can’t miss when in the Catlins! They are based off their popularity, accessibility and downright awesomeness. 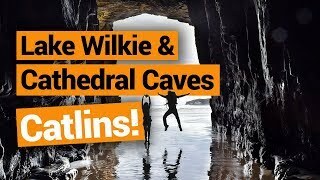 However, if you do have more time in the Catlins, head over to 18 Amazing Attractions You Can’t Miss in The Catlins and our Catlins – Guide for Backpackers for more things to do in the Catlins! Those rocky nuggets and clifftop lighthouse are on almost everybody’s Catlins itinerary so we’re not going to beat around the bush! One definite must-do in the Catlins has to be Nugget Point! The walk there is about 10 minutes one way with many awesome viewpoints of the lighthouse along the way. Then you’ll reach the grand finale of the Nugget Point Lighthouse lookout. Look carefully at the rocks below, home to seals and many species of seabirds. Location: From Kaka Point, take the coast road (gravel road) all the way to the top car park. 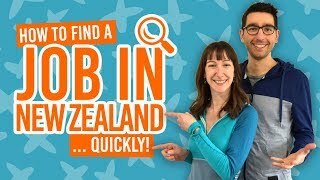 This one is a little tricky to get to, but if you are able to get to it it’s definitely worth checking out one of the world’s largest sea caves! Cathedral Cave is accessible two hours before and one hour after low tide. The high-ceiling cave with two grand entrances is a marvel you will not want to miss! The walk down to Waipati Beach is about 20 minutes downhill and access to the walk is NZ$5 each paid in cash in the Cathedral Caves car park. Note, the Cathedral Caves access road is only open during the low tide between October and May. Location: On the Chaslands Highway (Southern Scenic Route), the Cathedral Caves access road (Pratt Road) is located a couple of minutes drive east of the Whistling Frog Resort & McLean Falls road. The Catlins is home to some of New Zealand’s most picturesque waterfalls. What is often described as the “most beautiful” is McLean Falls. If there is only one waterfall you can check out in the Catlins, it has to be this one! However, it’s definitely not the most-visited as access is about a 3km drive off the Southern Scenic Route then a 20-minute walk through stunning native forest. Location: On the Southern Scenic Route (Chaslands Highway), turn off at Rawcastle Road (signs for McLean Falls and the Whistling Frog Resort indicate the right road). It’s a 3km drive on gravel road to the car park. The main attraction at Curio Bay is the fascinating petrified forest! A viewing platform overlooks fallen tree trunks and trees stumps from the Jurassic era fossilised into the rocky coast below. You can even walk down onto the rocks for a closer look. Time your visit to Curio Bay with the early morning or evening and you might be lucky enough to spot the rarest species of penguin in the world, yellow-eyed penguins. Location: Curio Bay’s closest settlements are Waikawa and Tokanui. From Tokanui, follow the highway toward Waikawa. From Waikawa, take the Waikawa-Curio Bay Road. A lot of backpackers come to the Catlins hoping to see some awesome New Zealand marine life. Of course, with any wildlife viewing, it really depends on being in the right place at the right time. Nevertheless, Surat Bay offers you your best chances to see the huge New Zealand sea lions! New Zealand seal lions love to hang out on the beach here, so a walk along the shores of Surat Bay is a must if you only have time to visit one wildlife spot. Make sure to keep your distance, at least 10m, away from the sea lions. Location: From Okawa, head toward the Okawa Golf Club (via Pounawea Road or Duttons Road) On the east side of the road bridge follow Newhaven Road. You can either start walking along the beach in Newhaven or park up all the way at the end of Newhaven Road and walk along the beach from there. 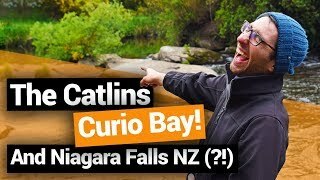 This Catlins waterfall is so easy to access that it would be a crime not to check it out! It’s off the main route that people usually take when travelling through the Catlins (The Southern Scenic Route). It’s a 20-mintue return walk through lush native bush until you reach Purakaunui Falls and its photo-worthy cascades! Location: Purakaunui Falls is on the Southern Scenic Route at the eastern end of Waikoato Valley Road. The Falls will then be signposted along the Purakaunui Falls Road. Another example of wild Catlins Coast, complete with wildlife and a lighthouse, is Waipapa Point. Waipapa Point holds another glorious lighthouse in the Catlins. 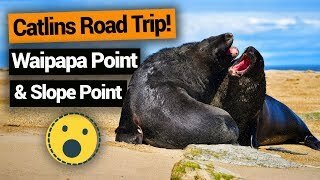 It’s also a regular spot for New Zealand sea lions – so if you missed them at Surat Bay, then Waipapa Point is always a great option. 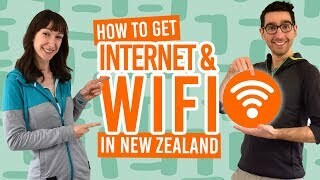 Location: From Fortrose, take the Fortrose-Otara Road until you reach the fork at Otara where you take the Otara-Waipapa Road all the way to the end. (And yes, it’s all gravel road). Ok, this is only really a must-do if ticking off geographical points of interest is what rocks your boat. Slope Point is the southernmost point of mainland New Zealand. There’s not much there other than dramatic coastal cliffs and a signpost stating the distance from the Equator and the South Pole. Note that the 20-minute walk to get to Slope Point may be closed during the lambing season (September to November). Location: Slope Point is about a 20-minutes drive east of Curio Bay down more gravel road. Take the Haldane-Curio Bay Road and turn off at Haldane down the Slope Point Road. Some 200m from the sea is this immense blowhole dropping 55m deep! Seeing the scale of this eroded rock formation is impressive any day, but if you visit on a high swell day, then you’re likely to hear the explosive noises of waves crashing through the tunnel and into the blowhole. The awesome coastal views along this 1-hour return walk is just a bonus! Location: 10km from Owaka, turn off the main road into Pounawea Road and follow for 850m to the turn into Hinahina Road. Follow Hinahina Road for 6km then follow Jacks Bay Road. For a short yet truly impressive forest walk, head on the track to Lake Wilkie. This 30-minute return walk takes you down to a mirror lake with stunning forest reflections. The forest is often full of bird calls too. Location: Lake Wilkie is on the Chaslands Highway, about 2-minutes drive west of Tautuku Beach and 7 minutes drive from the McLean Falls Road and Whistling Frog Resort.